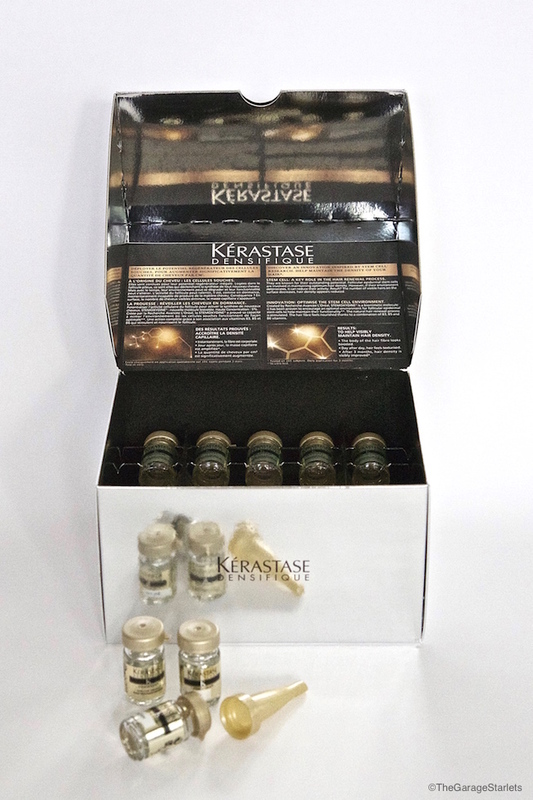 Kérastase Densifique is a hair-care system that is offered at salon and at-home use. Instantly hair fibre is texturised and soft to the touch. 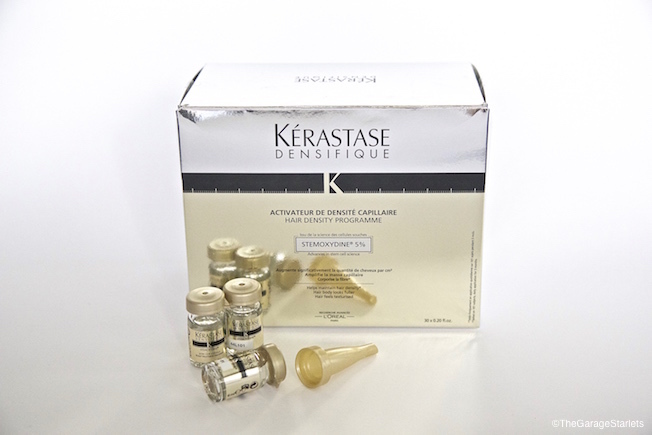 After continued use Densifique reveals a significant improvement in hair mass, to create fuller looking hair. As part of the Densifique line we found this ampules which are daily at-home program designed to significantly improve hair density. You should apply morning or night to damp or dry hair. Massage into the hair and scalp using a circular motion. For best results, apply one vial per day for 3 months so you can get the best results of up to 1,700 new hairs. Formulated with a powerful blend of Stemoxydine®, Vitamin B3, B5 + B6 and texturizing polymers for an unprecedented densifying action, it promises to give you the hair you’ve always dreamed of.